Thought i'd do a couple of small diorama's. Not the best in the world I know as I've never really done this before but found it very therapeutic. Thanks for your comments and advice LT. I've have a good look at your thread and joined the website you also have your pictures posted on. As I said on your other thread your work is exceptional and an inspiration to beginners like myself. Keep up the very good work. 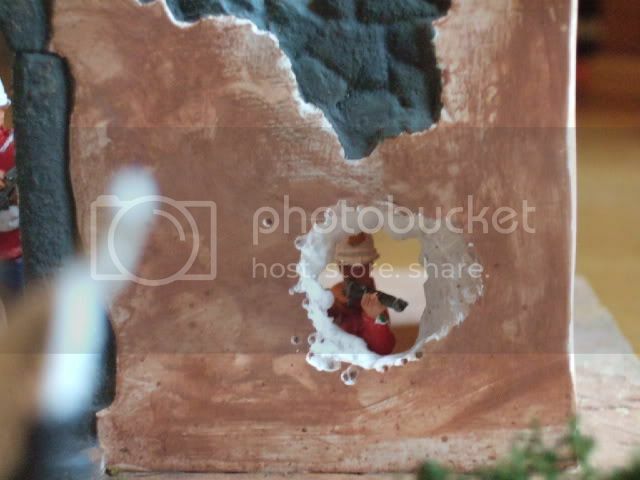 Dioramas...Hmmm. They appear to be becoming popular . As a result, I draw my learned colleagues attention to the following example up on Ebay. Seems a quality product and before anyone comments, I have no knowledge of the seller. (He's at the top of the world and I am at the bottom). It just seems a good example. Kiwi Sapper they've been quite popular for yearsfor those of us who collect Toy Soldiers and model kts to create them. 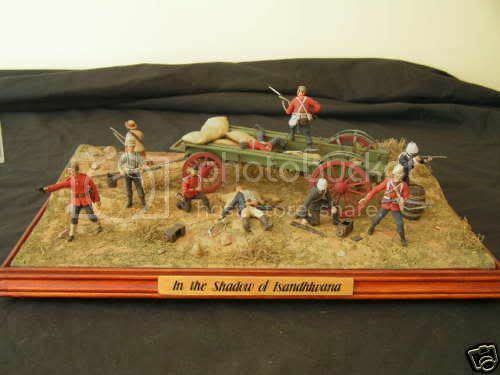 The diorama being offer for sale will blen in with any of the periods collections and is extremely well done.....The Lt. 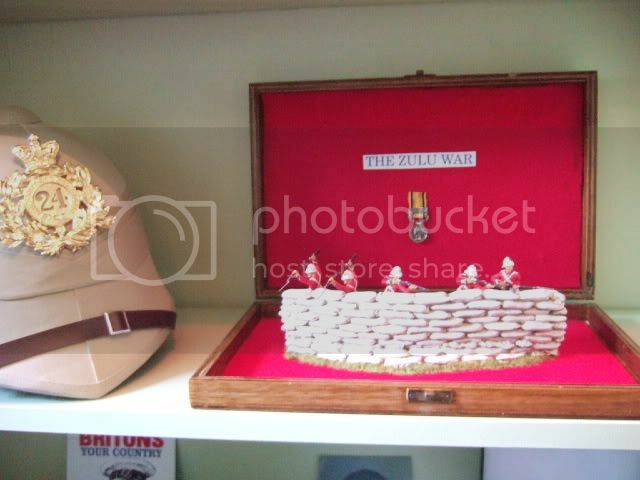 It's a pity I don't have any 54mm Zulu War 1879 figure collections, as it would have been a great pastime using them to design a diorama to base both the life-size figures on (copyright? 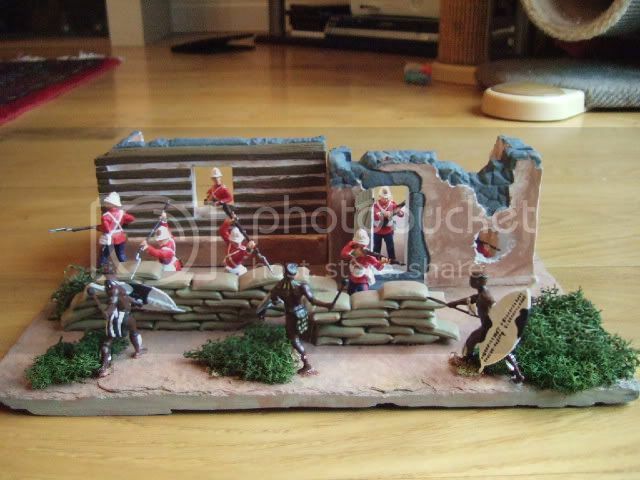 ), but also a life-size version of the same diorama. An accurate 1/32 scale model of the planned full-size display. Still, the figures I see/have seen, give a great idea of what looks good, all I have to do is imagine them 6' tall, with the wagon, etc., scaled to compliment them.